4.3 oz. 100% supersoft cotton; Heather Grey is a poly/cotton blend. 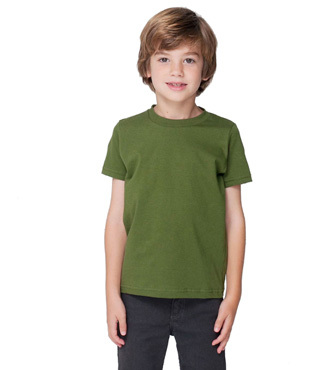 Kids version of our fashion fit tee, which is great for matching the whole family. Lots of colors, great, soft fit.